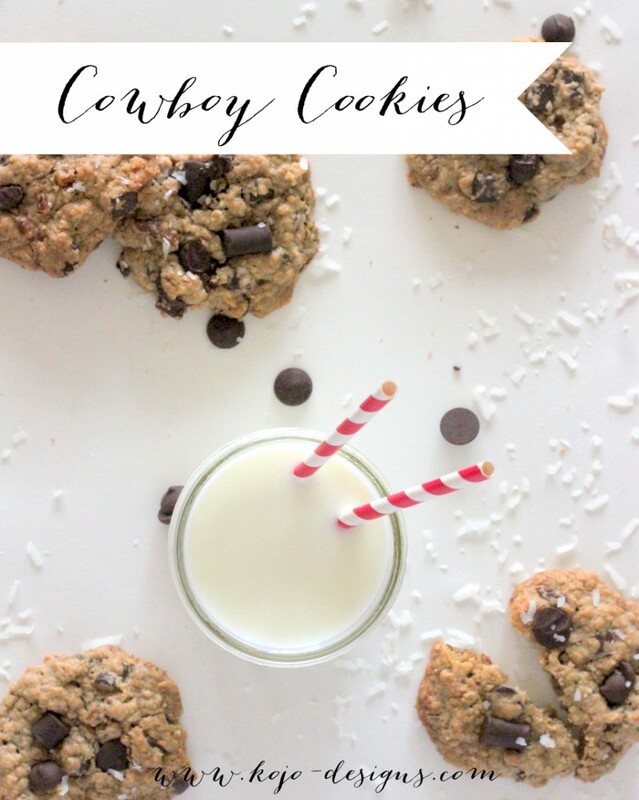 I could kiss Laura Bush for this cowboy cookie recipe. Y’all, it is perfection. Adam and the kids have voted these as our family’s favorite cookie. And since those three are all over the place on the favorite-taste spectrum (Pi leans towards extra sweet while the boys favor overwhelming chocolate-y desserts or something salty), and since I 100% agree with them about the amazingness of these cookies (and am somewhere in the middle of their taste preferences), these are sure to be a crowd pleaser. 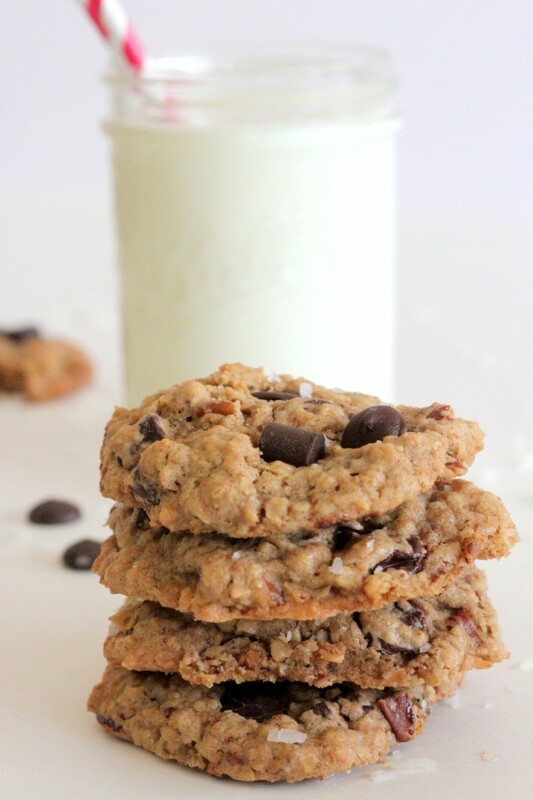 I think it’s the oats plus chocolate plus pecans plus coconut combo that pushes these to the next level. 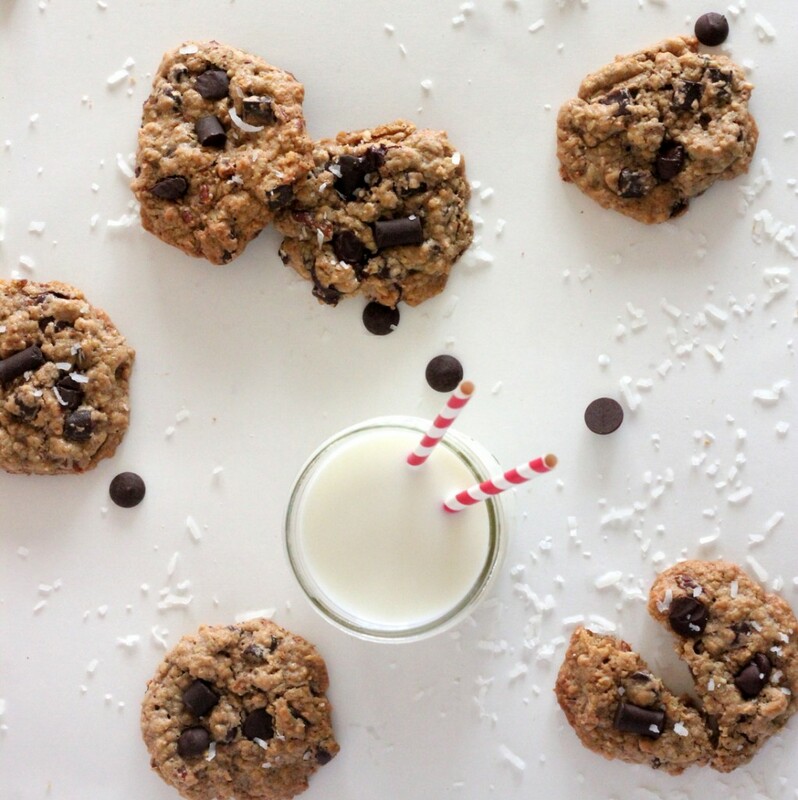 Whatever it is, I could eat these cowboy cookies every day for the rest of forever. And so we just keep making them over and over again- haha. Since Laura Bush’s original recipe is really large (and since we have zero self control about these cookies), this pared down recipe makes a batch of about sixteen average sized cookies. Cream the butter, sugar and brown sugar together for a couple of minutes, until fluffy and light colored. Mix in egg and vanilla. Add the flour, baking soda, baking powder, cinnamon and salt and mix slightly (just enough to incorporate). 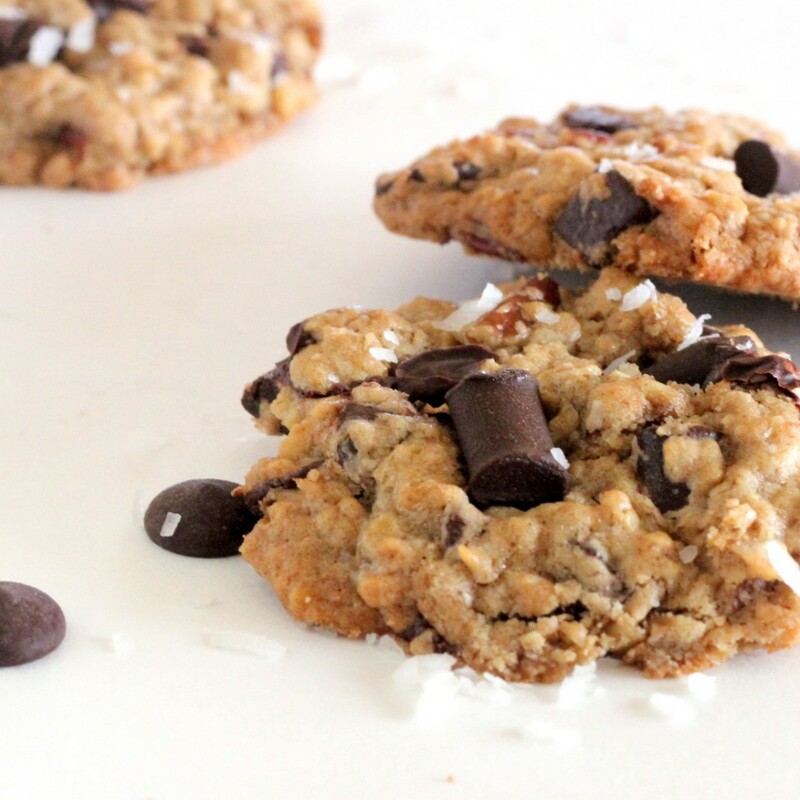 Add the chocolate chips, oats, coconut, and pecans, mixing until just combined. 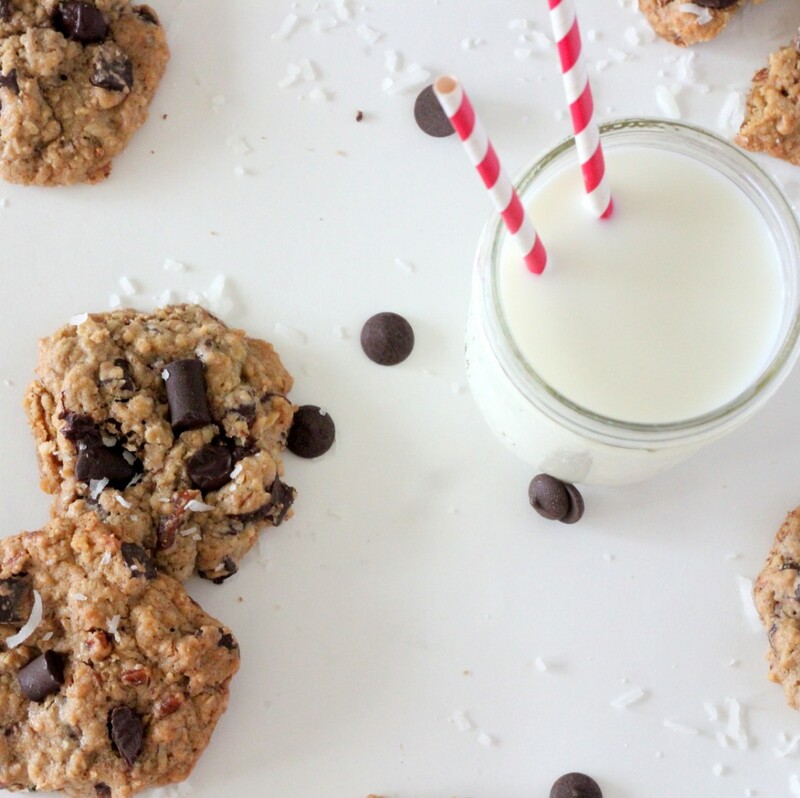 Stir in the oats, chocolate chips, coconut and pecans. Drop scoops of dough onto a greased baking sheet. Bake at 350 degrees for 10 to 12 minutes (for average sized cookies- longer for larger cowboy cookies).